Participants will receive a variety of materials to help start their business in addition to being introduced to several resources that can help them along the way. The class is offered at no cost, but advanced registration is required. 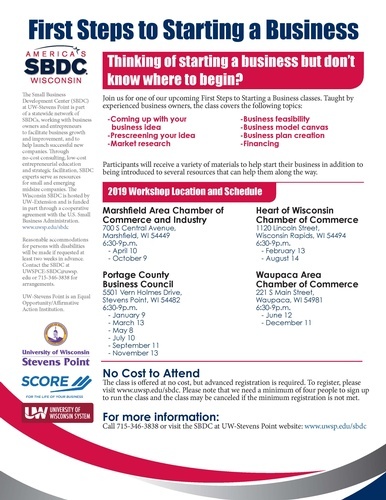 To register, please visit www.uwsp.edu/sbdc. Please note that we need a minimum of four people to sign up to run the class and the class may be canceled if the minimum registration is not met.